This is a limited quantity launch. Buy yours while supplies last. Live better and save more with ecobee3 lite. 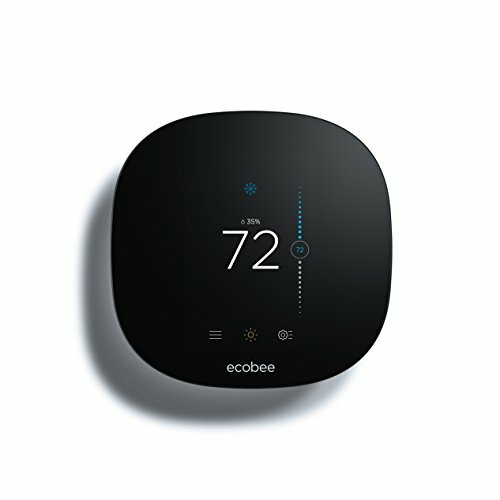 With its beautiful design, easy-to-use touchscreen display and impressive average savings of 23% annually on heating & cooling, the ecobee3 lite will make your home smarter and more comfortable without costing you or our planet. *Learn more at ecobee.com/savings. Works with Amazon Echo, Apple HomeKit, Samsung SmartThings, and IFTTT. We want you to love our products as much as we do, so your ecobee comes backed by a 3-year warranty. Your ecobee3 lite powers on through the C and Rc terminal. Be sure to insert your R/Rc/Rh wire in the Rc terminal of your ecobee3 lite thermostat. If you have any questions about this product by ecobee, contact us by completing and submitting the form below. If you are looking for a specif part number, please include it with your message.